What is the Part 5 Automation Tool? Aims to make continuous improvement to the overall level of safety." After the ICAO mandate, the FAA took exception of the new SMS requirements. Almost eight years passed until legislation passed for 14 CFR Part 5 went into effect requiring Part 121 operators to develop and implement a Safety Management System (SMS). For those in the industry, this legislation is simply referred to as "Part 5." For those familiar with ICAO SMS requirements, there are very few surprises when comparing Part 5 requirements with ICAO guidance documented in ICAO Doc 9859. Just like the ICAO SMS, Part 5 follows the four SMS components (or pillars). There are a few minor differences that need to be addressed if you need to comply with Part 5. Managing the volumes of data resulting from an SMS implementation can be a full-time job. Larger companies may have several full-time employees managing SMS data. Years ago, the European Aviation Safety Agency (EASA) and ICAO both stressed the importance of using databases to manage SMS data. In November 2015, EASA required that databases are required to manage SMS data in Regulation (EU) No 376/2014. Since 2007, many companies started offering databases to manage data for aviation SMS programs, such as SMS Pro. These programs primarily focused on addressing ICAO requirements first and then included operational functionality, such as flight duty time. Other systems started out as auditing solutions and restructured their systems to adapt to SMS requirements. Since Part 5 became legislation almost ten years after the ICAO mandate, it is not surprising that existing SMS database tools did not align perfectly in terminology used in Part 5. A recurring problem between FAA inspectors and operators surfaces whenever inspectors expect to see what they were taught at the FAA academy in Oklahoma City. While operators can legitimately demonstrate compliance using the better aviation SMS database programs, the energy and frustration spent arguing over labels and workflows should be better spent on other topics. 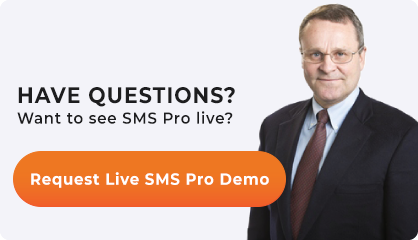 This is why SMS Pro created the Part 5 Automation Tool. Part 5 Automation Tool is a subset of SMS Pro modules. The "Automation Tool" menu follows Part 5 requirements. The default system contains all the modules necessary to demonstrate Part 5 compliance, nothing more, nothing less. Furthermore, labels and terminology align with Part 5 to reduce friction with FAA inspectors. Operators needing additional tools have approximately 40 additional modules to choose from. Learn more about the Part 5 Automation Tool. If your existing SMS tools don't comply with Part 5, this solution is very full-featured with excellent customer support.